Test spray on a piece of scrap poster board. 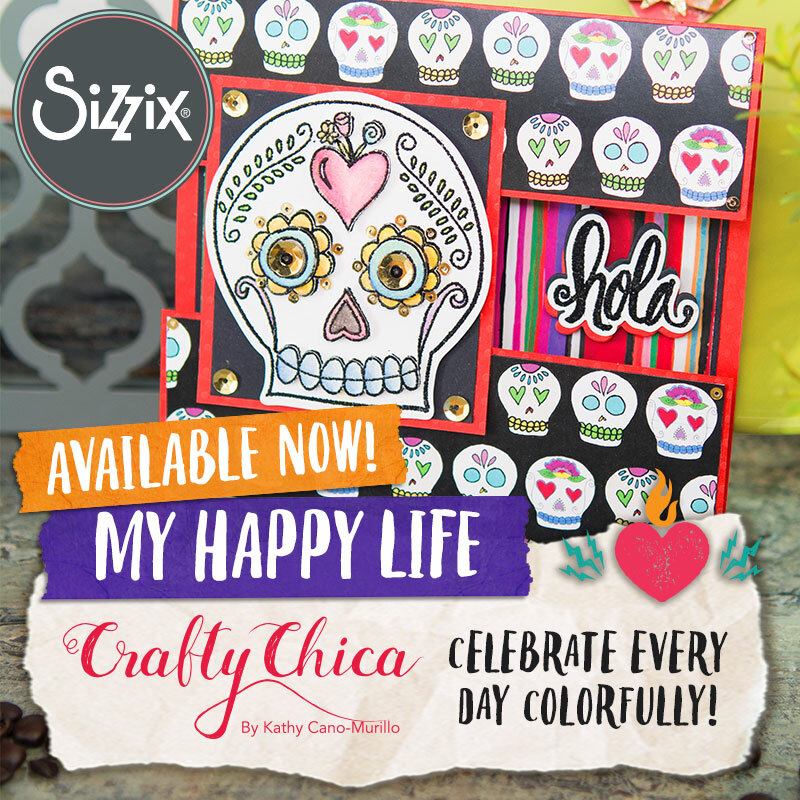 Next month, my craft group has our annual Frida exhibit and this weekend I’m working on my art pieces. I’m going to do some fun stencil techniques. For this one, I converted an image of Frida to black and white image and then blew it up in four pieces and taped it together and then cut! I love how it turned out. I did a couple other stencils as well, I’ll post those soon. Now that the stencils are cut, I’m working on the prepping the backgrounds on the canvases. Next ArticleMiss Scarlet book interview on PBS! That’s beautiful, I love the vintage feel it has. 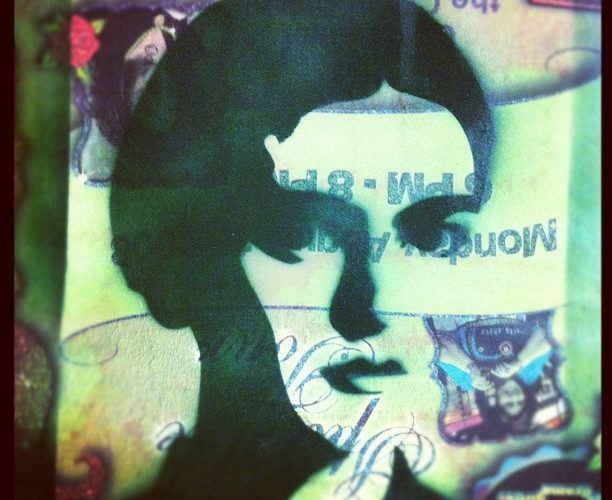 I wish I had a stencil like that on Friday, when I led my daughter’s class in a Meet The Masters lesson on Frida! I love the vintage feel this has. 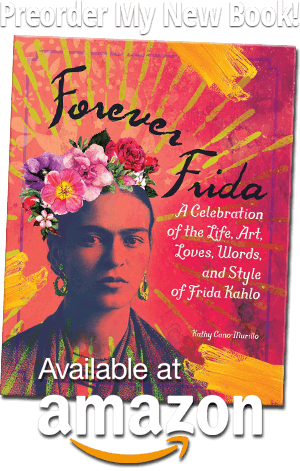 I just wish I had that stencil last week when I led the Meet The Masters program at my daughter’s school which was all about Frida!